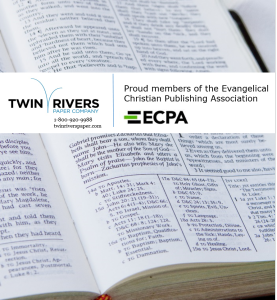 Madawaska, ME (November 20, 2014) — Twin Rivers Paper Company joined the Evangelical Christian Publishing Association (ECPA), an international non-profit trade organization involved in the publishing and distribution of religious content worldwide. The membership allows Twin Rivers to deepen its understanding the issues that affect religious publishers and printers internationally while serving as a paper resource for the association. Knowing religious publishers’ objective of cost effectively delivering more books and evangelical materials across the globe, Twin Rivers introduced a new generation of paper, Premium Hybrid. It is engineered with the optimal blend of Groundwood and Freesheet fiber to deliver opacity, strength and yield savings. Additionally, Twin Rivers is one of the largest North American manufacturers of Lightweight Opaque Freesheet papers, a category widely used for scriptural applications because of strength, quality and printability. For more information, visit www.twinriverspaper.com/papermarkets/religious or call us at 800.920.9988 and ask for our Religious Papers Overview. The Evangelical Christian Publishing Association (ECPA) was established in 1974, serving a $1.4 billion industry. The organizations objective is to strengthen the membership base by building networking, information and advocacy opportunities. For more information, visit www.ecpa.org.